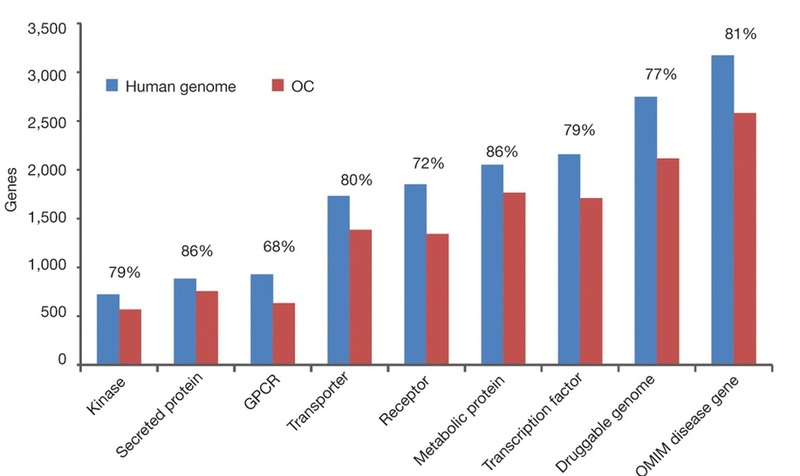 Percentage of genes in the human genome represented in the ORFeome collection, separated into functional categories. Reprinted by permission from Macmillan Publishers Ltd: Nature Methods (ORFeome Collaboration (2016). The ORFeome Collaboration: a genome-scale human ORF-clone resource. Nat Methods 13(3):191-2), copyright (2016).